You get what you pay for. That’s an adage we generally believe in. But does it hold up with respect to ammunition? We set out to answer that question by testing the accuracy of a variety of value-priced .308 hunting ammo against more costly stuff. Using three .308 rifles in the test—one hunting rig and two precision rifles that we knew would be ringers. We put a number of budget and premium loads through all three rifles over the course of one day, ensuring the results wouldn’t be influenced by different environmental conditions. We also used a standard 5-shot-group protocol, and shot two groups with each load at 100 yards. As a control to establish a baseline level of accuracy for each rifle, we also shot 5-shot groups using Federal’s Gold Medal load with 175-grain Sierra BTHPs. Using the baseline match load to calculate a ratio for each hunting load by dividing the size of the hunting-load groups into the size of the match-load groups. The closer to 1 that ratio is, the better the hunting load performed. None of the hunting loads outshot the match load, so all these ratios were greater than one. The outcome was interesting. The best hunting ammo was Hornady’s American Whitetail 150-grain Interlock SP. Compared to the baseline groups with the match ammo, this budget-priced load ($19.29 for a box of 20) shot nearly as well as the match ammo in all three rifles and had an impressive 1.41 average ratio. Federal’s Fusion, another bargain ammo ($21.49 for a box of 20) was second best among the loads, with an average ratio of 2.02. The only expensive load that delivered consistent performance in all three rifles was Federal’s 165-grain Trophy Bonded Tip ($34.49 per box), The two Winchester loads had nearly identical levels of performance, though again, the less expensive 180-grain BST (2.11 ratio average) outshot the more expensive 150-gr. XP3 (2.81 ratio average). It’s worth noting when purchasing premium ammo that the promise of greater accuracy is certainly implied because it uses better quality components, but that much of its benefit is based on the idea that it will perform better on game. 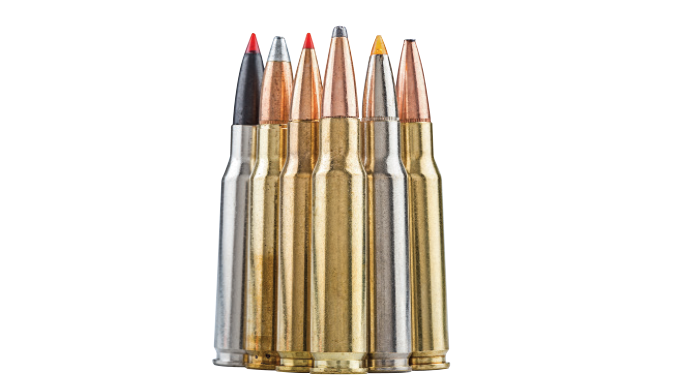 It pays to try different loads in several different bullet weights in your rifles. Investing money to find an accurate load is the cheapest way to get the most from your rig. Sharpen Your Bow Skill During the Off Season! We practice with our bows all summer long, but after opening day its easy to get wrapped up in the hunting and forget about practicing. But even if you’re spending your time in the field and can’t hit the archery range every day, you can still keep your edge. Shooting in hunting situations is obviously different from target shooting. In the real world, weather conditions, shot angles, brush and other obstacles can impact your shot. Also, when the time comes to take a shot during a hunting situation you’re usually either stiff and cold from sitting in a treestand or sucking wind from running up a hill. All this combined with the fact that you must make a clean shot with the first arrow makes it all the more important to keep your shooting skills sharp. 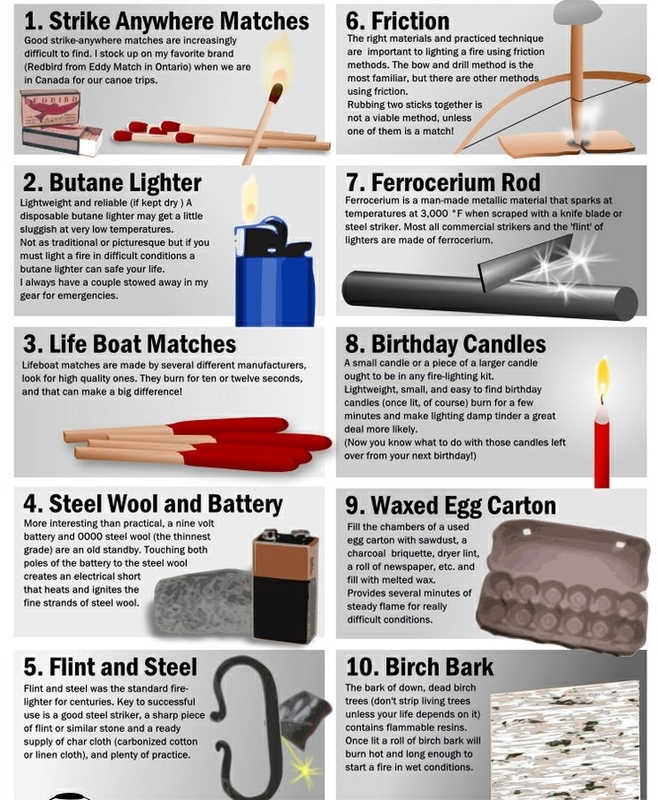 Here are a couple tips. One of the biggest challenges to making a “cold shot” is that often the muscles I use for properly drawing my bow are stiff. The simplest way to cure this is to periodically pick a target, draw your bow, aim, hold, and let down your draw. This keeps you loosened up, plus drawing and aiming without actually shooting helps you focus on the target. Although just drawing and aiming will help a lot, the single biggest help is to actually shoot while out hunting. A common practice among traditional shooters is to carry one or two blunt pointed arrows in your quiver so that you can stump shoot in your down time. Stump shooting is fantastic for keeping you warmed up, but unlike just drawing, actually completing your shots will bring your release into play, as well as give you all sorts of angles and situations to practice. Small game is even better than stumps (grouse and rabbits taste a lot better too). Grouse can be deceivingly tough to hit. You want to aim for the base of the neck or the head. Sometimes they flush at the shot, but grouse will go in the direction that their head is pointing, so if you use a snaro point, you can either take their head off or hit them in the body as they flush. The best thing about grouse is they often give you extremely challenging shots, and if you can become consistent at taking them, you will be ready for the big game (make sure to check your local regulations before taking any small game with a bow). 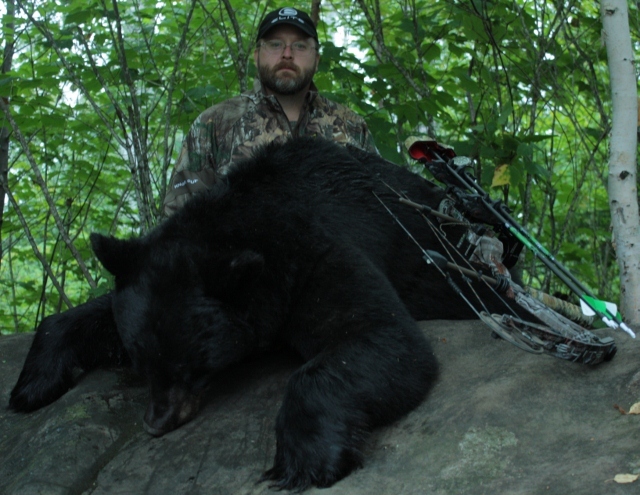 Planning a black bear hunt often a painstaking, long drawn out event that involves researching outfitters, contacting references, arranging for lodging and transportation, and choosing the proper weapon. Most people must apply for tags by lottery depending on location, but did you know that if you go through an outfitter in Ontario, Canada you are GUARANTEED a tag?! With that in mind, let’s visit the outfitter planning phase. Whether you choose an outfitter (suggested for first timers) or set up your own hunt, be prepared to start planning at least as early as a year prior. Do you have your area picked? Do you know the native food sources? What was the weather pattern like this hunt season? Were the bears active and what was the harvest from the season(s) prior to your arrival? A good outfitter will have all of this information readily available as well as a list of references. That list should include people that did and did not get their bears. It should include multiple years and an honest overview. You need to know exactly what to expect when you arrive and during your hunt. 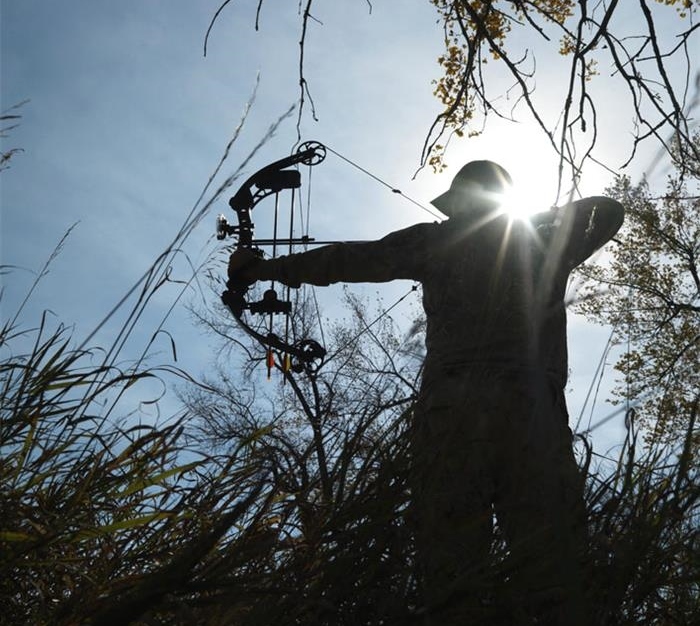 Baiting and sitting a stand may seem like a ‘canned hunt’ but as most can attest to, it can be a grueling experience that will test your fortitude. 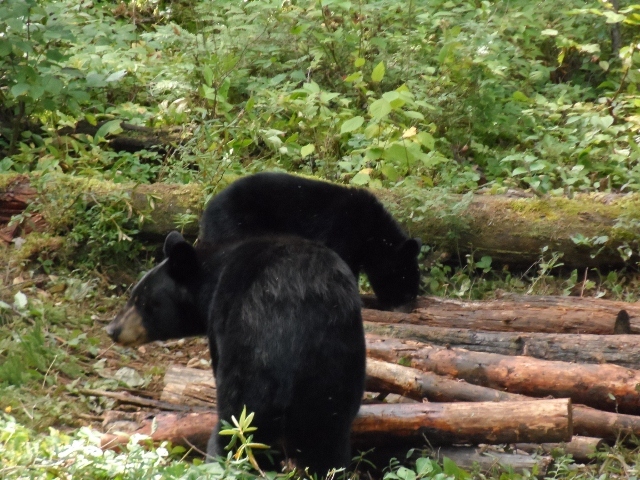 Most first time bear hunters assume (incorrectly) that if you feed them, they will come…..while that is often the truth, bears are as individual as people and even with food, there is no guarantee of compliance on the animal’s part….remember, you are dealing with a wild creature and trying in 14 days or less to train it to your will. Those that have children or pets know that training anything can be a very difficult task but consistency is key! When planning your hunt, ensure that you are prepared for the task at hand. Don’t think that just because you showed up that the bear is going to get the memo. Be prepared to sit that stand! You cant harvest a bear from your cabin/tent/motel. When you contact potential outfitters, ensure that they have answers to all of your questions and they are engaged with your plight. They should be just as focused on you getting a bear as you are. Your outfitter is your link to the area as well as in most cases in charge of ‘conditioning’ your bear prior to your arrival. 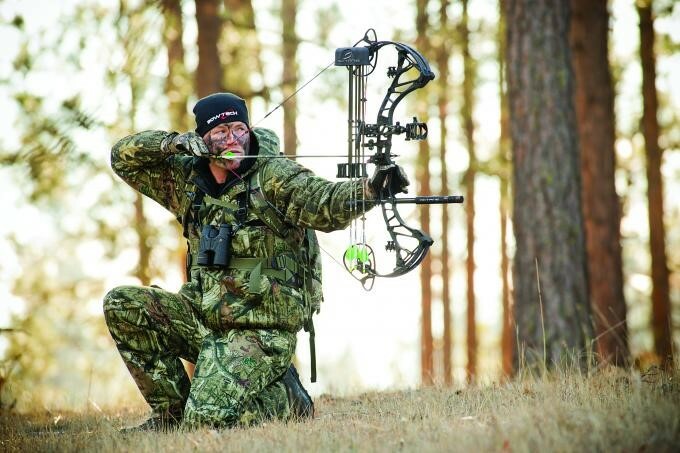 A good outfitter will be promoting consistency with baiting (by example of course). We bait each and every day to ensure cycles and patterning is noted. As mentioned earlier, bears are unpredictable to some extent and a bait that could have been hitting each time it was checked (hopefully daily) could quiet down for a day or two. Be patient, if you trust your outfitter they will help you through this phase and often have backup plans including alternate baits that may be still consistent. Ensure that your outfitter is the type that cares enough to keep up with you and your hunt and puts your success as a priority. No hunt is guaranteed but what you can guarantee is that doing your homework can save you the disappointment of an unfulfilling hunt, bear or not! Always be cautious using a tree stand. 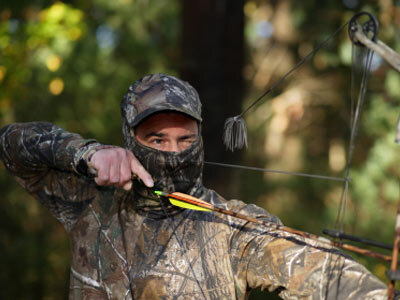 As hunters begin to set up tree stands as part of their preparation, safety is still rule number one whether you are scouting a location, trimming shooting lanes and putting up your tree stand, even on a trial basis, use the same precautions you would during hunting season. 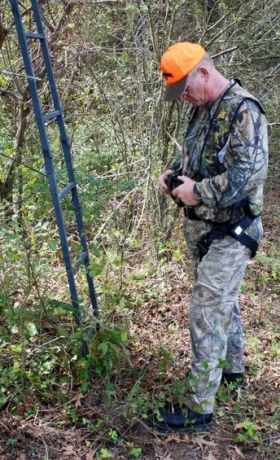 Use a lineman-style belt in addition to a full-body harness when first putting a tree stand in place. This minimizes the chance of falls and potential injury, and, always select a healthy, straight tree for placement. Never carry anything as you climb — use a haul line to raise and lower equipment. Maintain three points of contact when climbing. Don’t exceed manufacturer’s maximum height settings. Have an emergency signal device with you. Tell someone where you plan to go. As with any piece of equipment, tree stands need inspection before use. Frayed straps or, if needed, buy a new tree stand. Leaving a tree stand up from one season to the next has some inherent problems that outweigh any convenience. When a tree stand is exposed to the elements due to long-term placement, it may have damaged straps, ropes and attachment cords — any of which may potentially lead to breakage and failure.